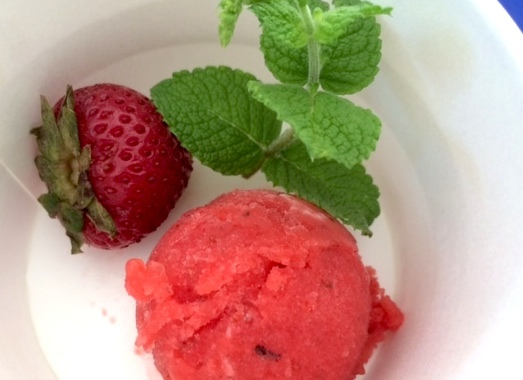 Light, refreshing and perfect for summer, this quick sorbet is simple and delicious. It also doesn’t have any of the weird ingredients or stabilizers that many of the store-bought brands have. Its also a great project to do with your kids and keep them busy for a an hour or so (much needed this time of year I bet). So drag out that ice cream machine that has been collecting dust and get going. Please not that you may have the type of machine that requires that the container be frozen is advance (typically at least 12 hours- plan ahead). There are many variations that you can do like changing out the fruit for something else that is ripe and fantastically in season. You can event get a little wild and use basil instead of mint or even exchange a bit of the puree for some coconut milk to make a vegan sherbet. I would recommend increasing the simple syrup by 1/4 so it stays smooth as it freezes. The sweet content is partially what keeps the consistency for being too icy so don’t try and substitute the simple syrup for stevia- it will fail. You can perhaps try some maple syrup but you will have to tinker with the ratio as it is a strong flavor. The other component that makes the consistency smooth is the rate at which the minute freezes- but the fast machines have freon built in and cost hundreds to thousand of bucks. 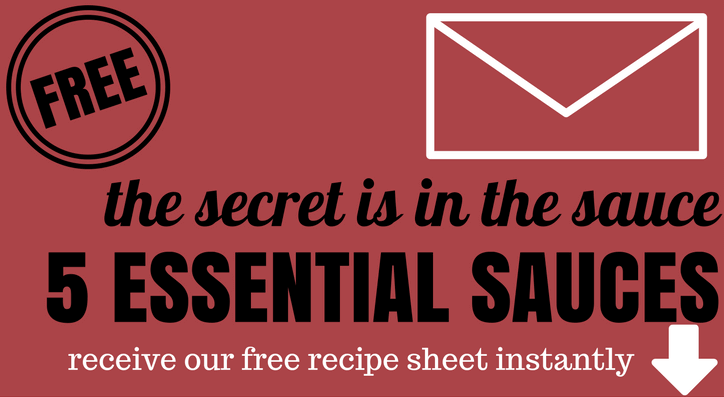 Unless you are a serious ice cream or sorbet maker- the simple ones will probably do! Purée the strawberries in a blender with the simple syrup until very smooth. Add the mint and lemon juice and pulse until the mint is broken down into tiny flecks. Transfer to an ice-cream machine and freeze according to the manufacturer’s instructions. Combine in a sauce pan and gently warm until all the sugar has been dissolved. 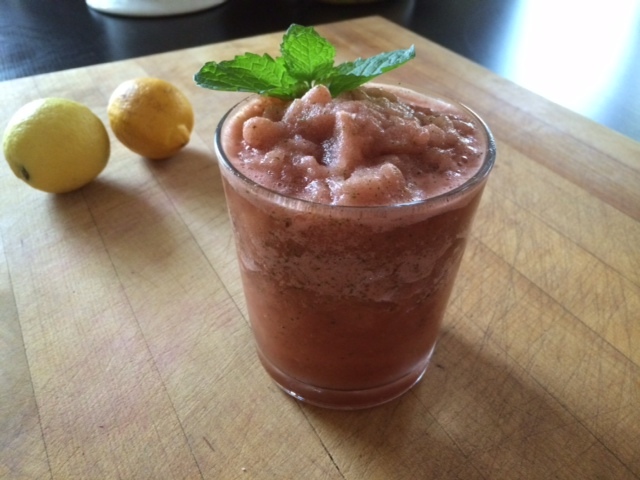 If you would like to remove the strawberry seeds you can strain the mixture before blending in the mint. This recipe works well with raspberries or blackberries also but you will certainly want to strain! 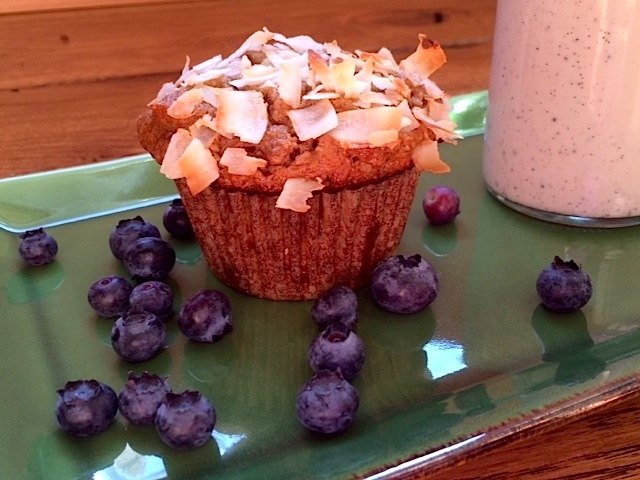 SUPER easy, vegan, gluten & grain free and YUMMY, what could be better? 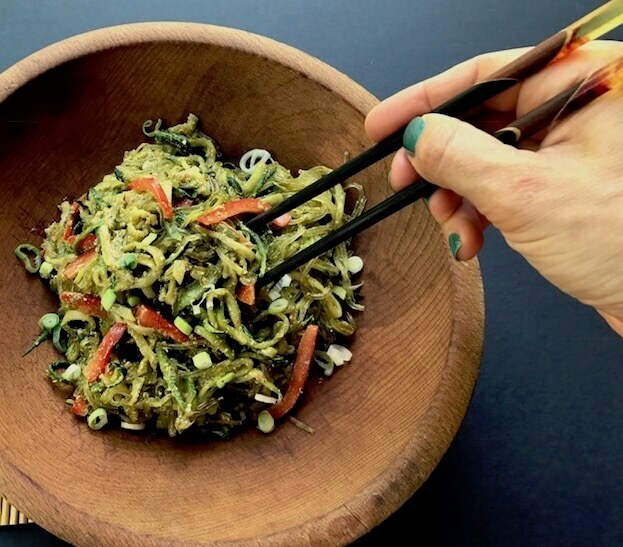 Get creative and change it up a bit with some other shredded veggies, the sky’s the limit! Place the grated zucchini in a bowl and toss with a good pinch of salt. Allow to sit for 15-20 minutes to let the moisture of the zucchini release. Add the remaining ingredients except the oil and mix well. 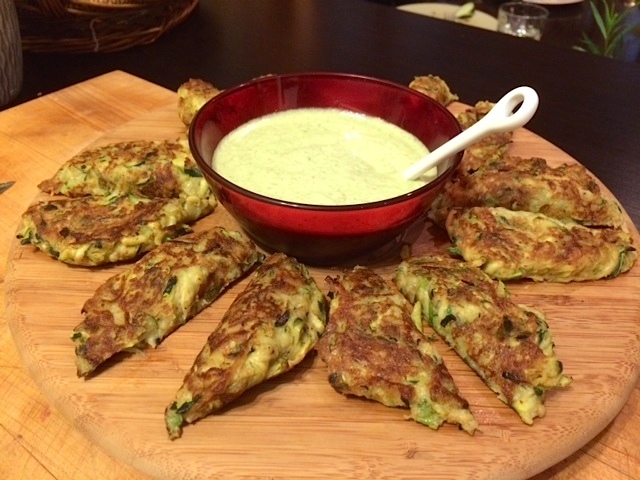 The moisture that comes from the zucchini should be enough to turn this into a batter. If not, add a few tablespoons of water but be sure it is not runny, the mixture should be thick like pancake batter. Heat a large sauté pan on medium heat and add about a couple teaspoons of oil. Using an ice cream scoop or a large spoon, scoop the mixture to the pan forming 5 small pancakes, spreading them with the back of the scoop. Brown on one side for about 5-6 minutes, flip and cook until golden brown on the other side, about 5 minutes. Repeat with the remaining batter, tenting the cooked cakes with foil to keep warm. Serve immediately with the spicy coconut sauce (recipe follows). *Za’atar is generally prepared using ground dried thyme, oregano, marjoram, mixed with toasted sesame seeds, salt and ground sumac. Available in middle eastern markets. If you cannot find you can add a few pinches of dries herbs and a squeeze of lemon. Grated carrot or sweet potato also makes a nice substitution for some of the zucchini but you will need to add a touch of water to make up for the liquid in the zucchini. Place all ingredients except for the dill into the blender and blend on high speed until smooth. Add the dill and pulse a few times to break it up. Taste and adjust salt and lemon if necessary. If you want a thinner sauce use 3/4 cup of coconut milk. This is the perfect summer drink, especially with a little “kick” added to it. It is versatile and can be done with many different kinds of fruit. Accidentally add some silver tequila or vodka and voila, you’ve got a party in a glass! Place all of the ingredients in a blender and blend until smooth but still slushy. If you have a vitamin you will want to use the tamper to help it along, not then stop the machine once or twice to give the slush a stir. Taste and adjust lime or sweetener if desired. You can use unfrozen fruit and add ice but the consistency will not be as slushy. Add some chilled vodka or silver tequila in place of some of the liquid. Swap out some or all of the watermelon for some frozen mango or berries.